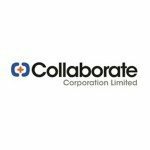 Collaborate Corporation Limited (ASX: CL8) operates peer-to-peer marketplaces where the ‘trust’ it creates makes it possible for individuals and companies to transact with each other for mutual benefit. The ‘sharing economy’ is the notion that people (and businesses) can generate income from under-utilised assets, by sharing them on a peer-to-peer basis in exchange for cash. Where sharing Hollywood movies is considered piracy, sharing access to your own car or spare property is an income-generating opportunity for many consumers — so brilliantly evidenced by existing sharing economy posterchildren, such as AirBnb and Uber.